...sit down and break wind. Yes. My first name is Heather, in Japanese there is no "th" sound so it translates to "He-Za". 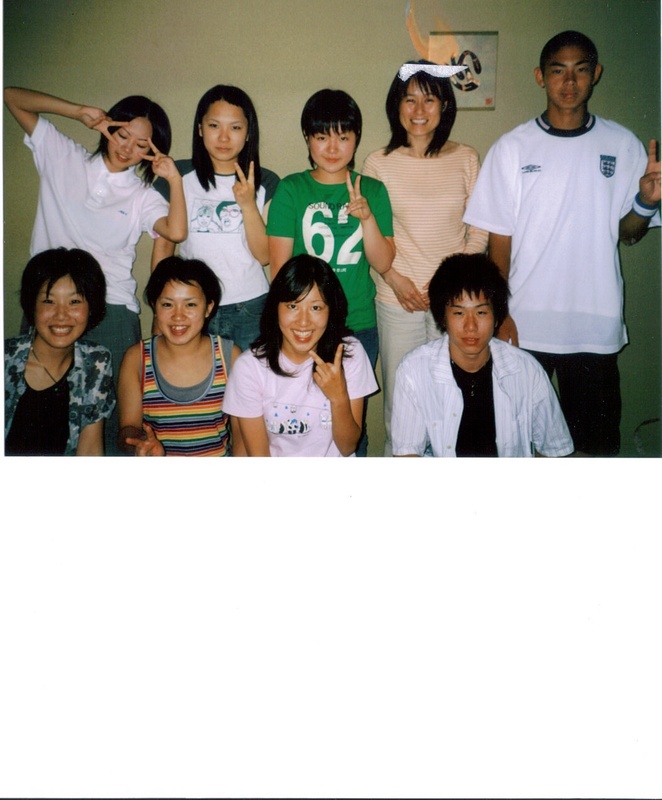 I lived in Japan for a year in 2002, teaching English to bemused high school students who thought I came from another planet and kept telling me I looked like Cameron Diaz (I don't). Anyway, "He" means sit down and "Za" means break wind. So that meant that everytime I introduced myself I had to prepare myself for peals of laughter from all quarters (at times, I am ashamed to report, this came from other teachers). At first, you can imagine my confusion, I was totally unaware of the joke. Luckily a kindly colleague informed me. Oh the hilarity. There were even impressions of sitting down and breaking wind when I walked into a room. I was humiliated (in a kindly way) on many many occasions during that year. On one occasion I was driven by the Head Teacher to get an "alien" registration card to legalise my stay in Japan. I got the photo, signed the card, handed it over and had it stamped. All seemed fine. A few weeks later the Head approached me and asked to see the card. I dutifully handed it over. He laughed and said, "I have a sixth sense, I knew they thought you were a man". Yes, on my card, the admin officer had thought I was a man and stamped it as such! Another subject for hilarity in the staffroom. 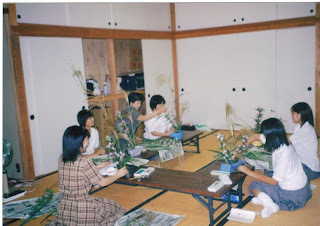 My flower arrangement class. We impailed dead flowers on spikes. 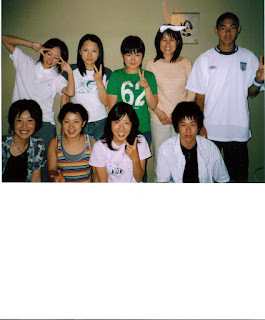 My English conversation class. Only 8 people joined. I have a Polish friend, Kasia, apparently the way English people pronounce her name means we are all calling her "porridge"
Heehee...funny isn't it. It must be weird being called Porridge day in day out! This post was hysterical-at least the whole 'you look like Cameron Diaz' made up for it all. Yes at least I am in good company, Cameron and I must both look like men! What I wore today....pink mac!